The upper abdomen of the human body is the location of several essential organs. The liver is a large organ located in the center and right side of the upper abdomen. In the center of the upper abdomen, the stomach is located in front of the liver, and extends a few inches to the right and left. The spleen is a smaller organ located on the left side of the upper abdomen. 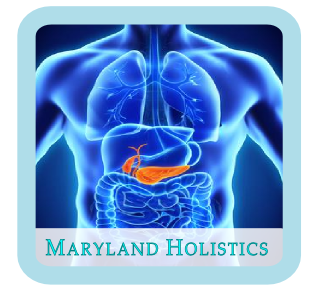 The pancreas is located behind the stomach and beneath the liver in the center of the upper abdomen. The gallbladder is located in the upper abdomen, several inches to the right of center. The large and small intestines also extend upward into the upper abdomen. Acute symptoms in the upper abdomen can sometimes be due to causes which are serious and require prompt medical attention. A thorough evaluation of acute symptoms upper abdomen often requires an x-ray, and blood tests are sometimes useful. Because x-rays are often needed, when these acute problems arise we refer our patients to a nearby urgent care clinic for evaluation. While our practice does not address acute emergencies of the abdomen, we do serve many patients with chronic conditions of the upper abdominal region. We provide care for a range of disorders which include chronic pancreatitis, gastritis, diabetes, liver conditions, and conditions affecting multiple organs.